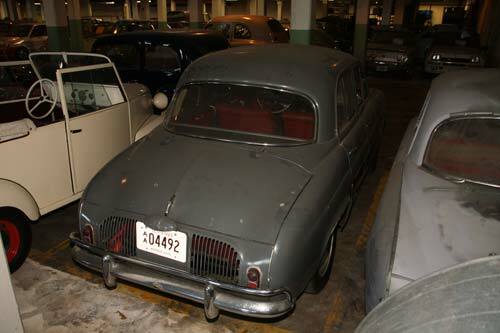 In 1956, Renault announced the Dauphine, a 4CV development. The mechanics are similar to those of the 4CV, but the body is a 3-box type. It has a welded stress-carrying center section to which the front and rear assemblies are bolted. 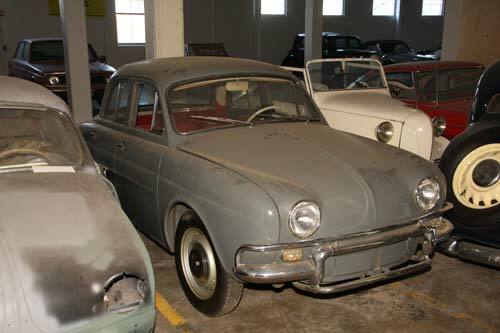 The Dauphine quickly became Renault’s leading model. 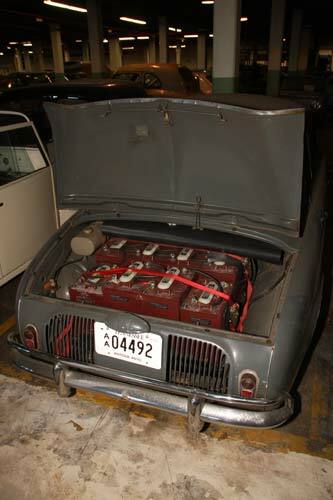 The car you see here is a Henney Kilowatt-converted to electric power. It was powered by an electric motor and uses a 36-volt traction battery system based on lead-acid golf cart batteries. It boasted an advertised top speed of 35 mph and a range of 40 miles per charge. In 1961, it was priced at $3,600. Approximately 120 were built from 1959-61, and the great majority were sold to electrical utilities for electric meter readers. Eureka-Williams Company (of Eureka vacuum cleaner fame) produced the electric conversion.